Posted by B. Daniel Blatt at 2:46 pm - August 11, 2012.
. . . and not just the Romney campaign and the Republican apparatus, will have to stand ready to fight back against the distortions that are sure to come — indeed, have already begun. Democrats will say that Romney-Ryan is a ticket committed to “dismantling” Medicare (by ensuring its solvency); that it would leave the poor to fend for themselves (by extending the successful principles of welfare reform); that their only interest is to comfort the rich (whose tax breaks they wish to pare back). These are debates worth winning, and they can be won. 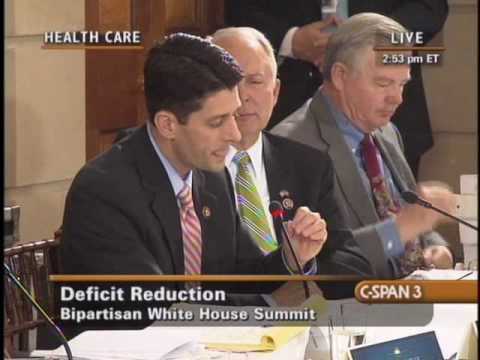 Every time, Democrats and their defenders/apologists in the legacy media attack Paul Ryan, ask them to identify their plan to cut the deficit and reform entitlements. By selecting Paul Ryan, Mitt Romney has now made this election not just a referendum on Barack Obama, but also a choice between two competing visions of governing. And the Democrats have not specified how they will pay for theirs. When they attack, we must respond not just by defending the Ryan plan, but by attacking them for failing to put forward their own. Posted by Bruce Carroll at 9:15 am - August 11, 2012. Posted by B. Daniel Blatt at 3:30 am - August 11, 2012. Four years ago, I was all but certain that John McCain would pick then-Minnesota Governor Tim Pawlenty as his running mate. This year, I was all but certain Mitt Romney would pick Virginia Governor Bob McDonnell. Now, as I head to bed on Friday evening, it appears the presumptive Republican nominee will be tapping the Chairman of the House Budget Committee, Paul Ryan. I wonder if Mr. Romney is announcing this pick nearly three weeks ahead of the party’s convention in order to change the narrative of the past three weeks, when the legacy media has helped hype the Obama narrative and put the former Massachusetts Governor on defense, keeping his own reform agenda — and the incumbent’s fiscal mess — out of the headlines.